Arsenal may have missed a Champions League spot and Monsieur Wenger's future may depend on Saturday's all London FA Cup final result against league champions Chelsea. One trophy already signed, sealed and delivered, however, is that of Fantasy Premier League's most valuable player - the 'wizard from Chile, Alexis Sanchez, amassing an impressive total of 264 campaign points. The top 4 scoring players were all based in the big smoke, Deli Alli second with 225, and this year's golden boot winner and 'one of their own' Harry Kane tied with Chelsea's playmaker Eden Hazard on 224 points. 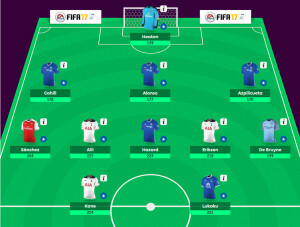 Getting your selection of midfield maestro's correct is clearly intrinsic to your Fantasy Football performance. The bus started and stalled all season for the world's most expensive footballer (£89.3M) Paul Pogba, his points tally of 115 equalling that of West Brom's Matt Phillips and Arsenal's Nacho Monreal, all tied in 73rd spot. With his goal and Utd's UEFA success, will it kick him on for next season and make him an attractive proposition to fantasy managers? Despite office banter intensifying, it was another woeful season for the Pitchcare team, with their top placed staff member in 56th spot, from a total of 182 entries this year. Despite intensive research and making the most early season noise about running away with the league, much like his team's name 'Porto Vale', it was a disappointing season for Key Account and Export Sales Manager Tom Challinor - finishing position 116. With a wave of new football enthusiast recruits, expect a stronger challenge from the PC staff entrants next year. Burnley shot stopper Tom Heaton was surprisingly the highest scoring Goalkeeper with 149 points. Chelsea dominated defensive performances with Cahill (178), Alonso (177) and Azpilicueta (170) the to 3 scoring defenders. Familiar story with strikers as messers Kane (224), Lukaku (221), Costa (196), Aguero (175) and Defoe (166) constituted the top five. Last year's winner, Peter Wilton of professional lawn care company Nulawn, finished in a very respectable 5th place whilst this season's winner, customer Gavin Barnes, has shot up the table from 15th place last year to the number one spot, winning our top prize of £300. Royal West Norfolk Golf Club's Greenkeeper, Alan Loose, came a respectable 3rd, a vast improvement on last years' 13th, whilst familiar face Mike Sage, from Knowle Golf Club, dropped down from 5th to 10th. Jack McCormack from Grims Dyke Golf Club led his colleagues and came in 4th to win £50. 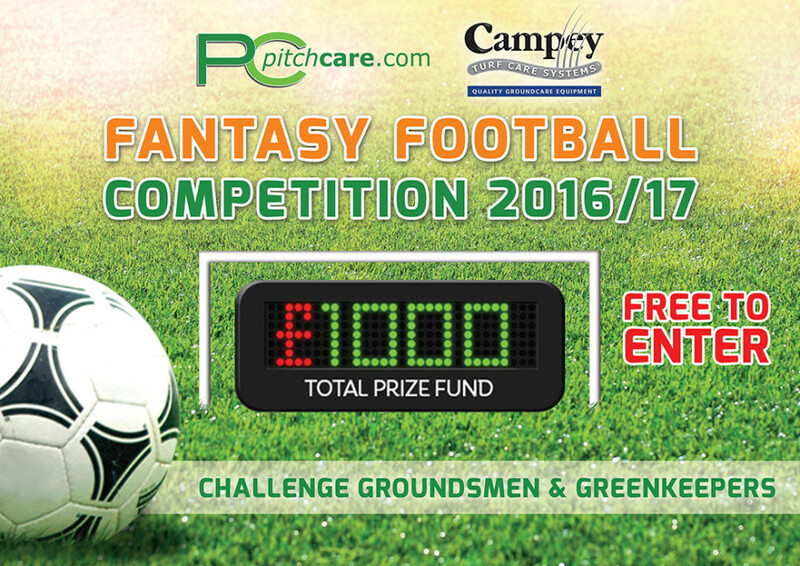 Pitchcare would like to thank this season's sponsors Campey Turf Care Systems and all Pitchcare members who took part. To claim your prize: Winners must email marketing@maxwellamenity.co.uk with their name, contact details. Subject to meeting the terms of entry, a cheque will be sent out to you.